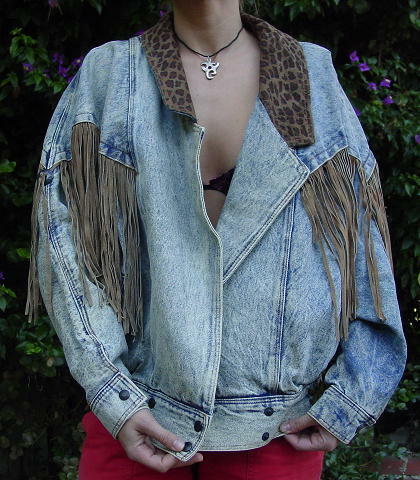 This acid-washed blue jean jacket is an East West by the Panda Group, Inc. and was made in Uruguay. It's 100% cotton with a leather trim. 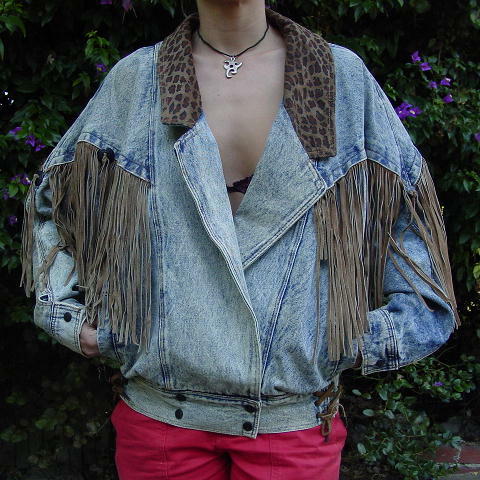 The long collar is in a leopard print and has light brown 10" long leather fringes. 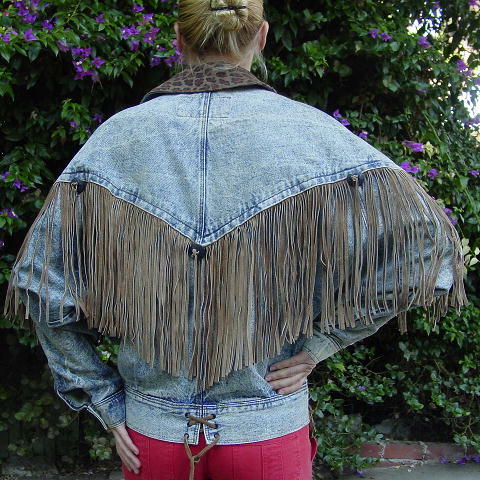 The front has 2 metal fringe holder accent buttons and the back has 3. The bottom waist area is 2 3/4" wide and has 3 leather laced areas and a 4 snap front closure. It has raglan sleeves with one snap cuffs, and there are 2 vertical lower front pockets. The tag says size M, but it fits like a M/L. neckline to end of sleeve 30 1/2"
armpit to armpit 28 1/2"